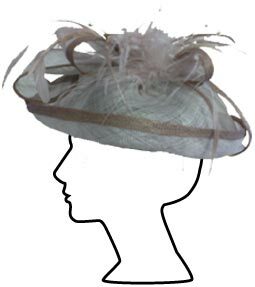 The Mad Hatter has an amazing range of hats and fascinators from a wide selection of different designers, both British and international. 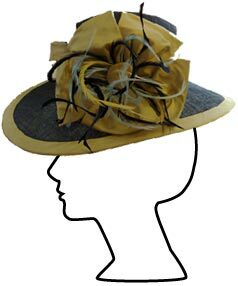 A bespoke service is also available to create a hat or fascinator especially for you by owner and milliner Carolien Jones. It is very important, when coming in to choose a headpiece or hat, to bring your outfit to the shop together with any accessories you may already have. It will make it much easier for you to find the perfect style and colour. We also offer various different styles of umbrellas and parasols to cope with the weather, pashminas to keep the chill off and handbags and gloves to compliment your outfit. There are sun hats to keep cool, rain hats to keep dry and winter hats to keep warm. Gentlemen are not forgotten, with panamas for the summer and trilby hats for the winter. 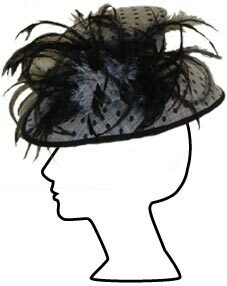 With our friendly personal service we do our best to make buying a hat or fascinator a stress free, fun and very enjoyable experience. Find out more about our selections and designer stockists. Looking for an original piece? Find out how we work. A few of our stunning creations. A small selection of testimonials from our happy customers.